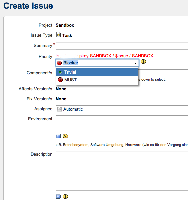 [JRASERVER-3821] Priorities per Project and Resolutions per Issue Type - Create and track feature requests for Atlassian products. We're excited to announce that Priority schemes were just shipped with Jira Software 7.6. As some of you have already noticed, 7.6 was released yesterday, and you can download it here. As mentioned in our previous update, after research, spikes, and user interviews, we've decided that introducing Priority schemes is the best solution for our customers. This feature uses a well-known administrative mechanism, and maintains a consistent experience. We've put a lot of effort into delivering Priority schemes as early as possible to make it for the 15th anniversary. We've decided that some further improvements will be added after the Jira 7.6 release. These will include: REST APIs to manage priority schemes, the ability to copy the priority schemes, as well as some minor UI improvements. We're planning to release them in the following Jira version (most likely 7.7). We've been working closely with the Jira Service Desk team to understand the impact of Priority schemes on customers using Service Desk projects. We wanted to make sure that these customers receive the best experience when Priority schemes are introduced. To achieve this goal, we've identified further work, and are scoping it specifically for Jira Service Desk. To make this feature available for Jira Core and Jira Software customers as quickly as possible, we've decided to release it without the support for Service Desk projects. What it means is that admins will not be able to associate a priority scheme with a Service Desk project in the first version. We're re-adding the previous update on Resolutions per issue type here so that it's not lost in the stream of comments on this suggestion. Resolutions per issue type is really a separate feature request which we'll prioritise independently. In order to track it properly, we've created a separate suggestion purely for Resolutions per issue type here: JRASERVER-65924. In hindsight we should have separated the two a long time ago, but we promise we will use all the comments around resolutions from this suggestion in the design of the feature, so no need to put the same comments, just make sure to vote and watch the issue! We will provide further updates in there. You can read more details regarding Priority schemes and other capabilities that we added in Jira Software 7.6 here. As always, we would love to hear your feedback so feel free to reach out to me directly, or post a comment in this suggestion. I want to be able to specify different priorities for different projects instead of having a global priority list. The current global priority can be used as a default, but I would like to be able to change them per project. Depending on the issue type, the resolution may be different. For example: in case of bugs, the resolution may be set to "fixed", but in case of improvements there is nothing to fix and the resolution should rather be "implemented". I need to be able to specify the default resolution separately per each issue type. 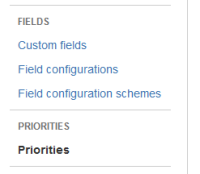 Custom fields for priorities and resolutions can be used on a per-project basis. Customizing velocity templates to limit the visible priorities and resolutions per project, similar to what's posted below (though this approach does not apply for JIRA Cloud customers). JRASERVER-17717 Need a "Issue Type Resolution Scheme". 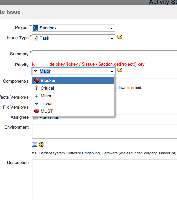 JRASERVER-22063 How to define resolution value per project instead apply to all projects? JRASERVER-25910 There should be more configurations which can be adjusted by projects - For example: Time Tracking, Resolution and Priority.